Conor McGregor could have killed himself driving at more than 150kmh, Road Safety Authority chief Moyagh Murdock has said. The MMA fighter received a six-month ban from driving this week after he was caught speeding at 154kmh on the N7 in Kildare last month. It was McGregor's 12th driving conviction and the Lucan man was also fined €1,000 for speeding. Speaking to the Irish Independent, RSA boss Ms Murdock said McGregor "appeared repentant" outside Naas courthouse. When he apologised to the court, the fighter had said: "I didn't know I was going that fast." He also told reporters after the hearing: "Gotta drive safer." McGregor insisted he would slow down his driving after his ban. Ms Murdock said she "would welcome Conor speaking out and acknowledging that it was completely inappropriate behaviour and it could have resulted in a serious collision and that it could have killed him, at that speed, in that area". "I think Conor has been public about saying that he was sorry and obviously realises it will eventually catch up with you one way or the other," she added. "You get off lightly if it's just a court conviction. "Worst case scenario is you either kill yourself or somebody else out there on the road." 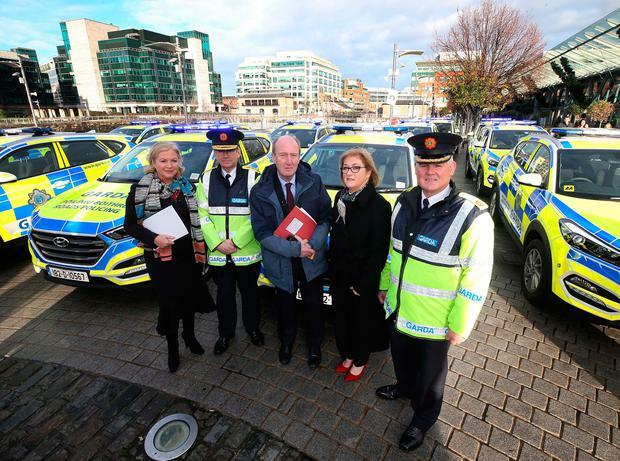 The RSA chief executive was speaking at the launch of its Christmas safety appeal.